A blend of natural moisturizers, oils, extracts sinks deeply into your skin, forms a protective barrier to lock in moisture and softens the roughest areas such as elbows, knees and heels. Natural beeswax, jojoba oil, aloe vera, chamomile flower extract have potent healing, calming abilities to sooth redness, dryness and itchiness. 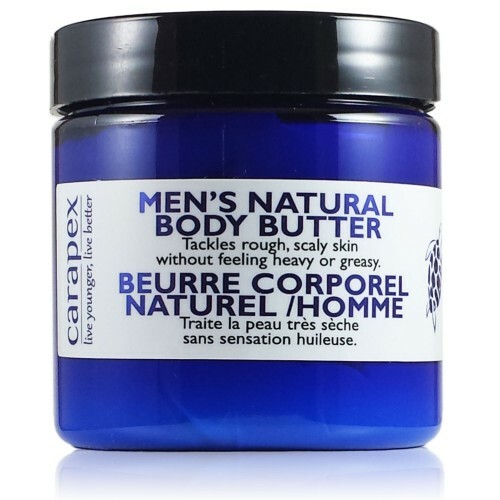 Over 50% oil content gives this body butter super rich texture, which melts as soon as it touches your skin. 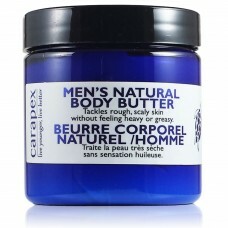 Then this luxurious butter soaks all the way into your skin and begins to work wonders. 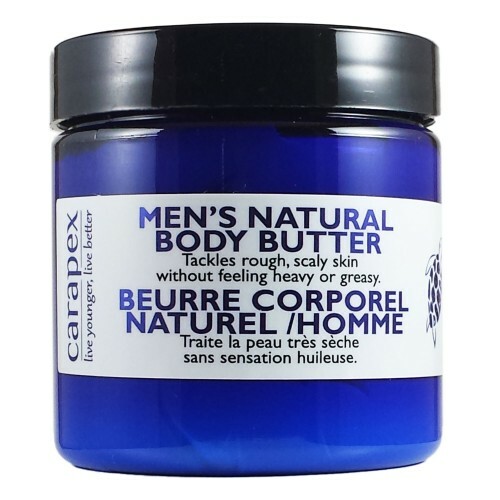 This body butter is perfect for protecting and repairing skin damaged by harsh working environments such as in mechanic, gardening and cleaning. Simple ingredient list, simple application and simply enjoy the nourishing, soothing, healing experience. Sunflower Seed Oil, Soybean Oil, Deionized Water, Natural Beeswax, Jojoba Seed Oil, Emulsifying Wax NF, Sodium Borate, Aloe Vera Leaf Juice, Chamomile Flower Extract, Optiphen, Carapex Moisturizing Complex. 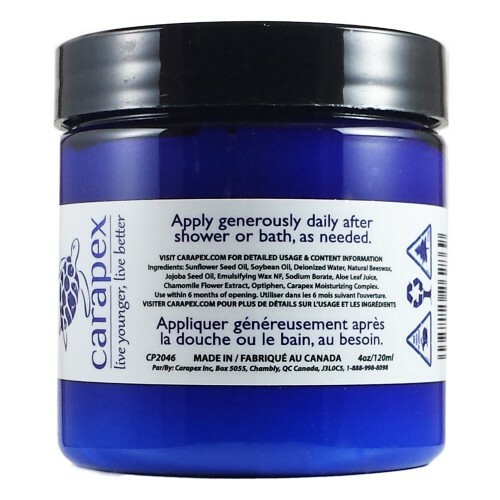 Apply daily after shower or bath on toweled-dried body skin. Pay special attention to dry areas like elbows, knees and ankles. Great for all skin types: normal, dry, oily, combination, sensitive.